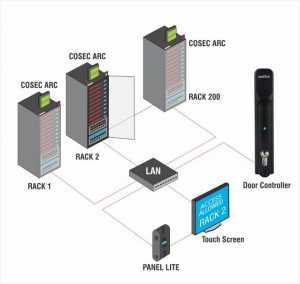 The data center has cabinet system in place while access to data racks require biometric authentication. The center is equipped with numerous data racks for which they required a display device at the entrance. Each rack was locked with physical locks as a result of which the center required a cost effective solution that did not include a device for each rack. Moreover, they required devices that supported both smart card authentication as well as door locks. The center authorities were looking forward to provide the supervisors with an additional option of authentication through RFID cards. With respect to gaining access, they wanted a solution that would grant access through two steps, biometric authentication and physically opening the locking system. Finally, the center wanted a solution that could alert them in case of situations such as a door being left open. The data center required a display device at the entrance, integrated with the biometric device installed by Matrix. So, we integrated our Data Center solution with a touch screen display. Whenever any user tried to access the data center with their biometric credentials, the touch screen would display a list of racks the respective user is authorized to access. From the display, the user would be allowed to choose the racks he/she would like to access. Once the user is granted access into the chosen racks, they will be allowed to access the same for a pre-defined period of time. User based access makes ensures security of sensitive company data. We also installed 200 COSEC ARCs, at the entry/exit of racks between 400 SouthCo locks, one between two door locks, making it a cost-effective solution for the center. Additionally, the COSEC ARC also provides the admin personnel with real-time notifications such as SMS or email notifications in case of any mishaps such as an open door, a door forced open, door being left open, etc. 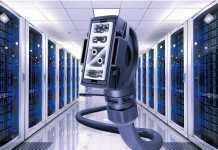 The personnel can also gather customized reports on events like who, when and which rack was accessed.